Have the power of a computer at your fingertips at all times with an ultra-portable Acer Aspire ONE 10.1" Netbook Laptop. 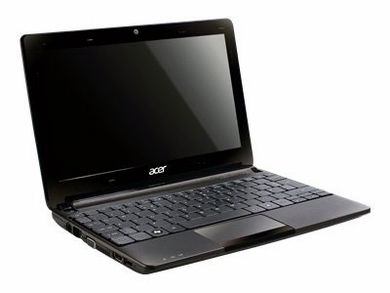 The Acer Aspire ONE packs a tiny, powerful 1.6 GHz Intel Atom Processor, a 320 GB hard drive, 1 GB of RAM, and ships with Windows 7 installed. The Aspire ONE even has a high-def HDMI port to watch video on your HDTV!